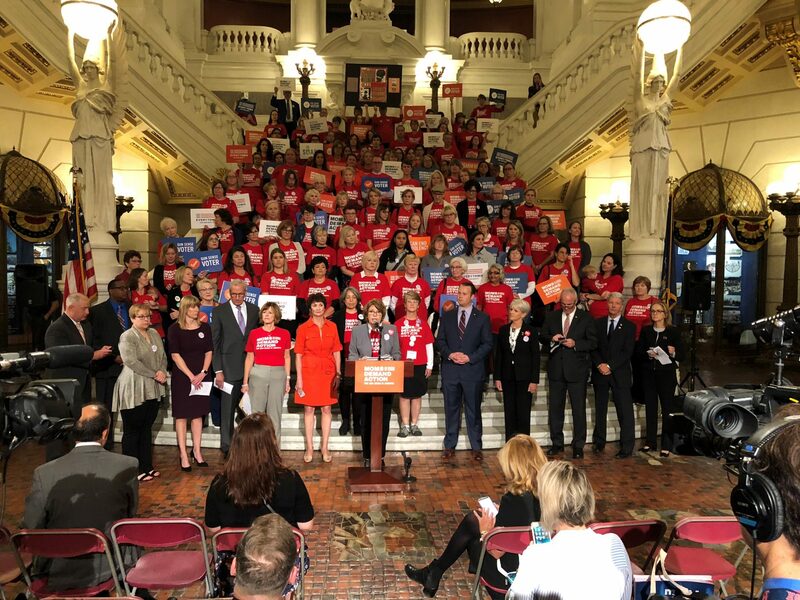 Supporters of legislation to increase gun restrictions in protection-from-abuse and domestic violence cases rally at the state Capitol in Harrisburg last fall. Changes to state laws governing firearms and protection from abuse orders take effect tomorrow. They include the mandate that all defendants who contested their case and are subject to a final PFA order issued by a judge turn over their firearms, permits, ammunition, etc., within 24 hours to law enforcement, an attorney, armory or licensed gun dealer. Ed Mahon’s been covering the issue for PA Post, and his latest story delves into concerns about remaining loopholes in the law as Act 79 takes effect. People would have to turn over their weapons if subject to a temporary PFA order, too, if the current version of the federal Violence Against Women Act passed last week by the U.S. House of Representatives makes it through the Senate and into law. This post from Nonprofit Quarterly lays out the basics of that bill. Another measure introduced by Sen. Pat Toomey, R-Pa., would alert law enforcement if someone fails a background check while trying to buy a firearm despite prohibitions (domestic abuse-related or otherwise). State lawmakers are again trying to enact a so-called Red Flag law in Pennsylvania to facilitate court-ordered firearms prohibitions in situations that don’t involve domestic abuse. It’s meant to be a mechanism for people who aren’t necessarily afraid for their own safety, but concerned a loved one is at risk for harming themselves or others, WHYY’s Laura Benshoff reports. Pennsylvania’s new Secretary of Pardons Brandon Flood in Harrisburg on Monday. New state Board of Pardons Chair Brandon Flood has been through the process of getting a pardon himself. Flood, 36, spent nine years in prison for illegal gun possession and dealing drugs. 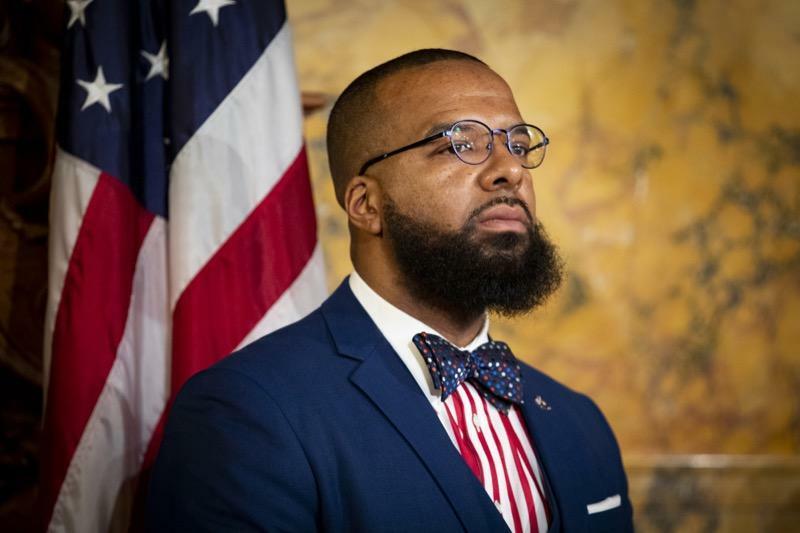 Since his release, he’s been working toward a political career, WESA’s Kathleen Davis reports in this profile. We hear a lot about brain drain — but according to this WalletHub ranking, Pa.’s one of the best states for millennials. The analysis considered factors including civic engagement, affordability and economic health. Emissions controls appear to be working again at the U.S. Steel plant in Clairton, StateImpact Pennsylvania reports in the latest story on the company’s pollution problems in Western Pa.